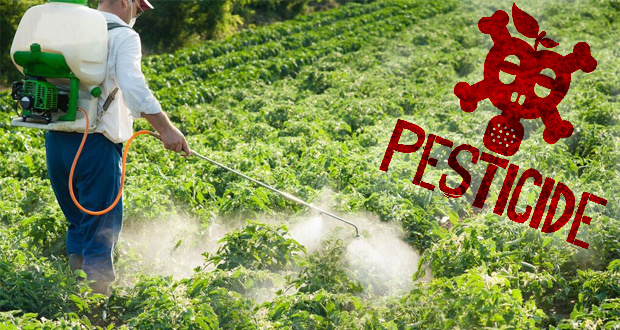 In order to protect crop health from pests that feed on or infect the plants themselves, farmers tend to use pesticides in order to retain their produce. This helps them prevent potential losses and maximize gains as more crops are produced and thus more are sold in the market. However, the use of chemicals come with their negative effects and there are plenty of them that are quite concerning. Today we are going to discuss the use of pesticides from the perspective of the farmer and the consumer, as well as talk about how we can come up with an alternative to still help maintain crop health, but avoid the negative repercussions of using pesticides in farms. The biggest reason why using pesticides seems worth it to local farmers is because they are a cost-effective way to do more business if their produce is prone to pests. The reality is, that by “playing it safe” and avoiding the use of pesticides, the financial loss that professional growers will incur due to the loss of produce is far greater than the expenses required to purchase pesticides and prevent that from happening in the first place. On top of that, by actively and continuously making your crops “disease-proof”, the chance of the produce being infected in the future drops significantly. Using these chemicals might sound like a great decision for the short-term, however, there are huge long-term disadvantages for using toxic chemicals for the soil on which the produce is grown on. At the end of the day, pesticides are poisons – toxic chemicals that don’t just harm the “malicious bugs” that attack plants, but the consumer, producer (farmer) and the environment as well. Valuable vitamins and minerals that the plants absorb from the soil are being “dissolved” by the pesticides, which causes plant health to deteriorate and produce low-quality gains for the long-run. As toxic chemicals, pesticides can result in a huge variety of negative human health effects. Those who are continuously exposed to pesticides are prone to developing respiratory diseases and serious illnesses that include cancer, as some of the chemicals that pesticides consist of are carcinogenic. Getting exposed to these chemicals can happen in a multitude of ways. Working in the farm field, produce consumption and being present in public places where the use of pesticides is obvious (such as parks) has the potential to impact your wellbeing. Is There a Solution That Would Suit Both Parties? The main way farmers can gain leverage that will allow them to quit the use of pesticides involves new agriculture technology and its adoption pace. Farmers who have sufficient knowledge and capital to invest in new equipment will have the ability to enjoy the benefits of IoT which will acutely increase their crop monitoring abilities. By knowing exactly when a crop is being attacked by fungus, bacteria or viruses, pesticide use can be used when needed rather than used on a continuous basis – this will reduce its potent negative effects. Moreover, the more data we gain by using AgTech on crop health, we will be able to pinpoint and manufacture more eco-friendly solutions that will aid in protecting crops from diseases without negative health effects for humans.